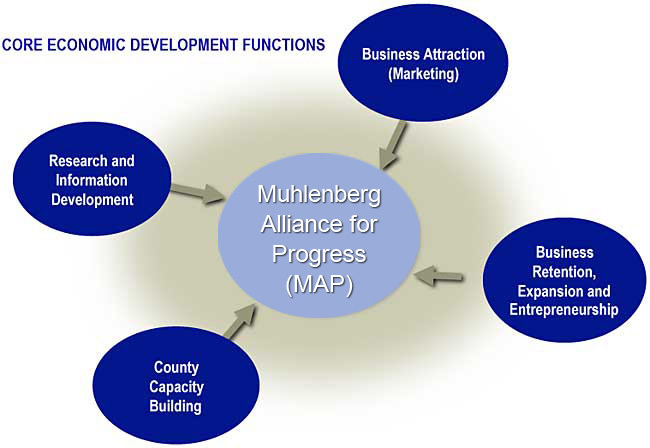 MAP serves the Muhlenberg County Kentucky area by assisting new and existing businesses and entrepreneurs with facility location projects, staffing and technical training needs. Note: All services are free-of-charge and all information related to facility location projects will be kept STRICTLY CONFIDENTIAL. By assisting companies with location studies, building and site searches and feasibility studies. MAP is prepared to help you find the information you need for your location study and identify sites and buildings that meet your requirements quickly and efficiently, and provide all assistance necessary to act on the information. As a non-profit organization, MAP works closely with state and local economic development groups as well as railroad and utility economic development offices. By using a cooperative, coordinated approach, MAP saves you time and effort in your investigation of Muhlenberg County, Kentucky.